If one chooses to be critical of poor graphics, e.g. 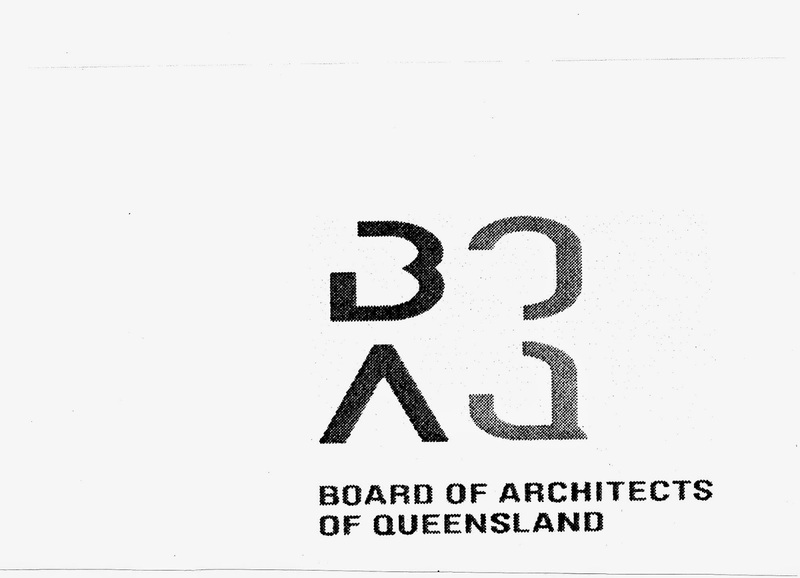 the new graphics of the Board of Architects of Queensland – see: http://voussoirs.blogspot.com.au/2012/04/normal-0-is-asquality-in-graphics-that.html , then this stance seems to come with the obligation to point out a good example of graphics, of what excellence in graphics is. Instead of noting how bad one logo might be, one should accept the challenge of identifying what the characteristics of good graphics are. So what are these qualities? They are best seen by way of example. 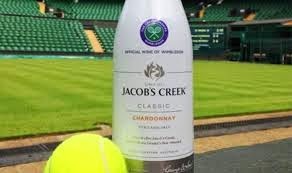 The Australian Open tennis tournament brought this to mind. 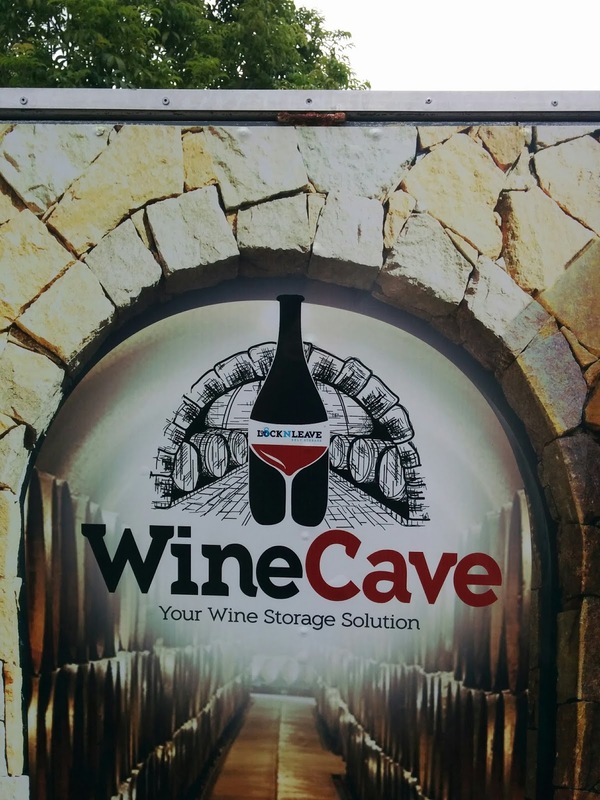 It was exactly one year ago, in 2014, that the logo was first noticeed with the promotion of the ‘cool harvest’ wines. It appeared in the background and in an advertisement at last year’s Open, and is again prominent this year. It still looks as good as ever, both with English and Japanese scripts. 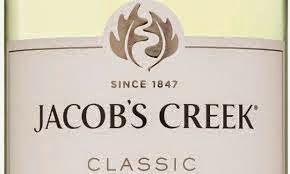 It is the wine manufacturer's, Jacob’s Creek's, new graphic image, its new logo. One first sees a crisp, confident mark, like a stamp, a stamp of approval. Then one notices the creek, a wriggly mark that moves sweetly, satisfyingly, along the centre of the almost circle. 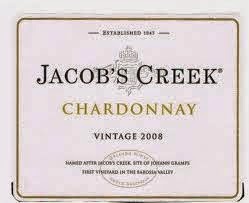 Ah, of course, Jacob’s Creek! Soon, not long after, two leaves appear; grape leaves. Of course, wine manufacturer. How appropriate. The interlocking of the leaf forms creates the creek image: hand and glove, effortlessly. 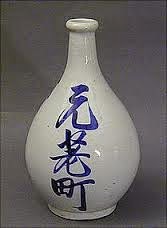 It is an integral image, immediately identifiable as a mark as a whole, and legible in its various component parts, its references. It is all so satisfactory, so complete. 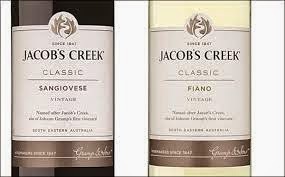 The image sits in association with the new typeface for ‘Jacob’s Creek.’ The letter forms are obviously new, but they are also so familiar. 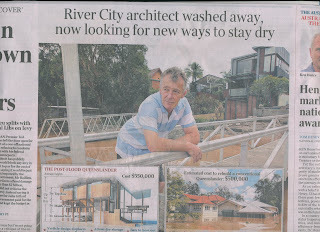 The change into a new presentation cleverly incorporates everything of the old. 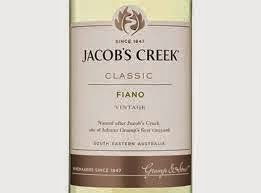 There is a crisper, subtler character to this name; something clear, certain and classical. This feeling probably arises not only from the typeface, but also from the medallion form of the grape leaves that, on other occasions, on some labels, appears in the centre of a twin circle, formalising itself as if it were a gold medal – those graphic images one sees added to labels to indicate quality provenance, awards: gold, silver, and bronze, just like the Olympics. 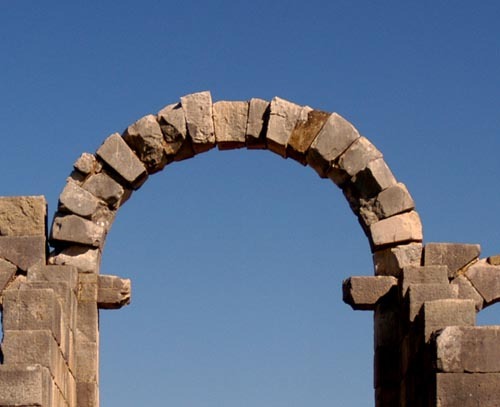 These are so significant that even ancient awards are pronounced along with more recent ones. 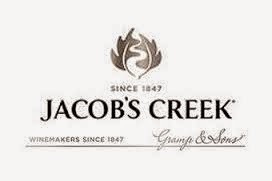 They must improve sales; so the Jacob’s Creek strategy is very clever, but innocently so. It never appears snidely cunning or perversely persuasive. It is all very skilful; nothing is forced. The whole literally flows together, happily as one. There is a gentle, deliberately precise quality in the fine graphic image that gives confidence in familiarity along with a sense of care and quality. 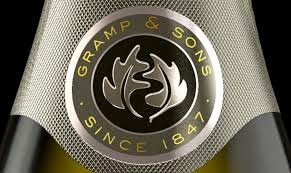 It is a wonderful, a satisfying graphic, elegant, sophisticated, not over the top or underdone; not crass or brash. 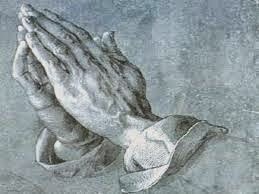 Later, one gets the feeling from the image that it might be a pair of hands shaped as a gesture of recognition, of welcome; perhaps of thanks; prayer: Durer’s hands. This all adds to the full feeling of the experience, very gently, very endearingly. But a graphic is not just one beautiful drawing. 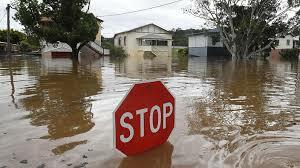 It has to work in many contexts. 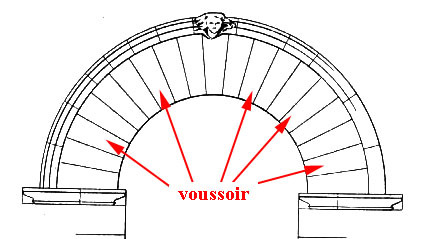 It is black and white, with a shaded version for greater finesse, so it can work on copies or as an embossing; it can be gold, silver or bronze, or even monochrome, and still work. It can be all black and print cheaply on a box and maintain everything that it stands for, at any siaze. And so it does: it is used on the labels, on the boxes, on advertising hoardings on all shapes and materials and in any colour, and it still holds its wonder; its authority. 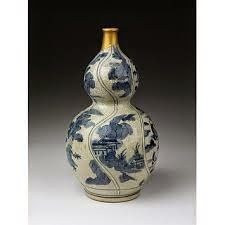 There is no fudging or adjustng to suit; no additional make-ups or manipulations for any context to 'make it work.' 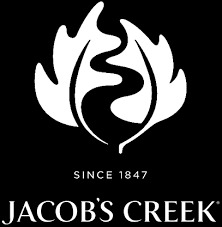 The logo is whole and remains whole in all circumstances: clearly Jacob’s Creek. And still it gets better. The labels on the bottles are classically beautiful. They speak of a love of the product and its quality. 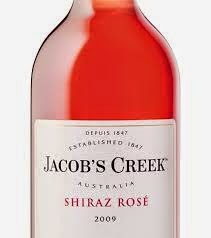 The reds look stunning; but it was the sparkling wine that amazed. Here the graphic skill bubbled over, literally. 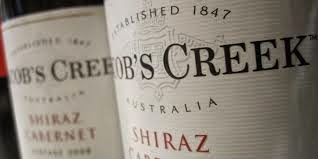 Stylish fine dots representing the fine bubbles covered the label around the leaf medallion, neatly, precisely. These cleverly trailed off around the neck of the bottle to complete the collar with a necklace. It was exquisite. 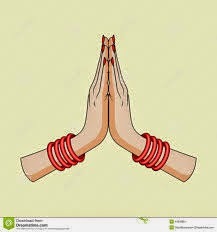 It was indeed a marvellous graphic wholeness, an integrity that could be extended with style and panache, without grand effort, creatively, into all opportunities for display of identity, with sophistication. It is an ‘open’ graphic that lends itself to embellishment and to the growth of the image, its development as a brand without disrupting the idea or changing it - just enriching it. 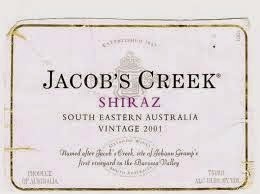 This is an example of good graphics; this is graphic excellence: multi-meaning integrated into a totally legible wholeness, a completeness that says ‘Jacob’s Creek’ everywhere it is used, without effort or any necessary cunning adaptations. 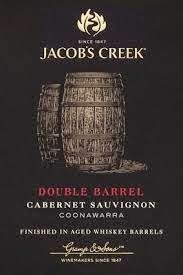 It not only makes one appreciate the work, but one appreciates the wines better too. If one is going to put so much effort into beautiful graphics, then the product has to be good too. 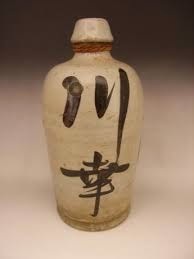 The traditional Japanese potter knew this; and the saki maker too. Just look at how beautiful these jars are.